Understanding why NATE is important to you. Founded in 1997, North American Technician Excellence (NATE) is the nation’s largest non-profit certification organization for heating, ventilation, air conditioning and refrigeration technicians. As our business evolves to meet the growing demands of the HVAC/R workforce, the company's vision - to be the leader in developing and recognizing professional HVAC/R technicians - remains clear. Headquartered in Arlington, VA, NATE is the certification organization that was developed by, and has been supported by the entire HVAC/R industry for over 20 years. 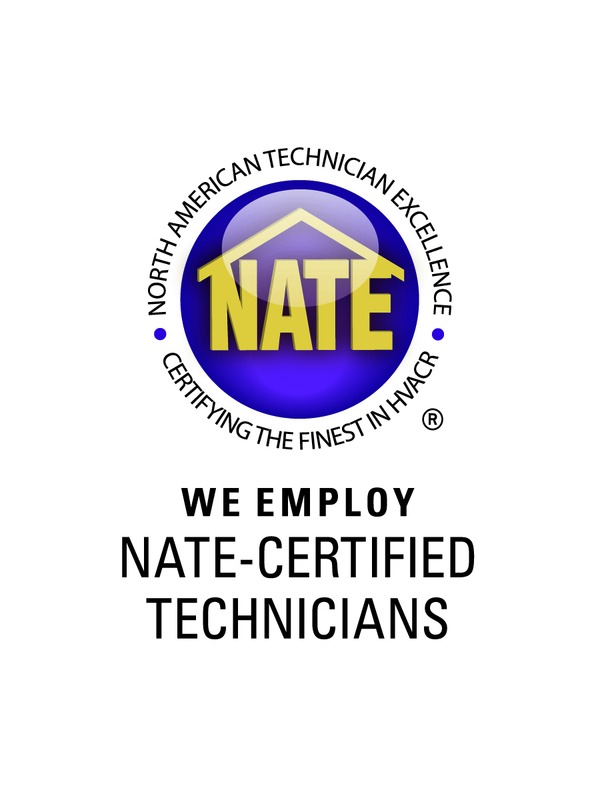 From air conditioning and heating installer certifications to residential and light commercial maintenance, NATE techs are the best in the business. So when you call a contractor, ask if they use NATE-certified technicians. Can I check to see if my HVAC company/contractor is certified? Type in your zip code and it will show all the contractors/companies in your area.